After months of planning and meetings Brunel began loading in the early hours of the morning, dealing with blizzard conditions; but thanks to their expertise and knowledge the operations flew without a hitch. Brunel understood that loading was to be a slow process as they only had 3 cms of height for clearance in the cargo hold. After a full 24 hours from loading at vendor premises to completing the lasing and securing on the AN124, they had a well-deserved rest and managed to get back in-time for New Year celebrations. Brunel Project Cargo recently moved 48-ton scanner from UK to USA under door to door movement for one of their VIP clients. The scanner was OOG OW and top lift-able. This type of movement requires Air Ride vehicles in UK & USA due to the sensitivity of the cargo. Brunel Project Cargo, had been appointed to move 2 static rail cars from UK to China, for an overseas client. The rail cars where shipped as BB on a container vessel, and OOG OW & OH. 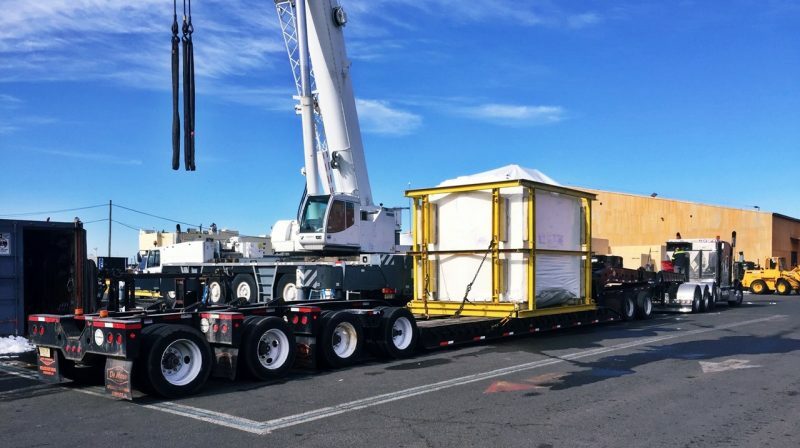 Brunel Project Cargo handled the scope of manufacturing equipment for 2 of its clients from UK to USA, shipping in containers and flat racks and handled the movements from door-to-door.